In the previous blog we connected our ESP to Google Cloud IoT Core, now it’s time to actually do something with the data provided by our sensor. 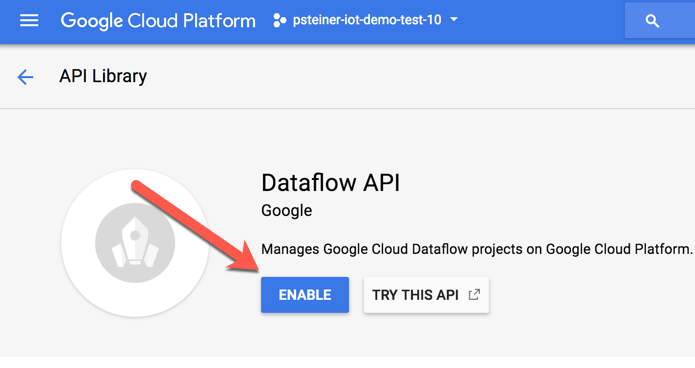 In this first step, we will be using Google Cloud Dataflow to fetch the sensordata from Google Cloud PubSub, transform it and store it as individual objects in Google Cloud Storage. 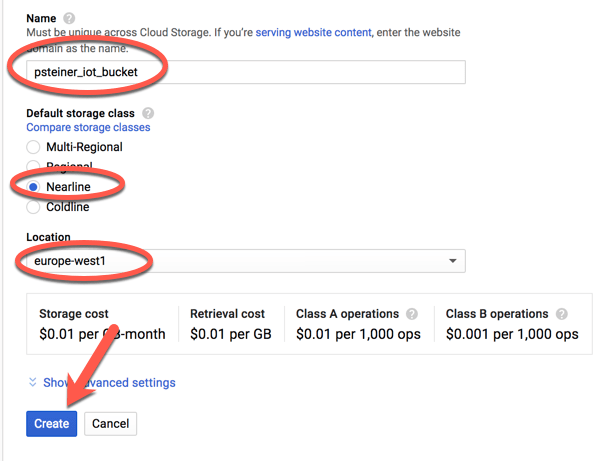 Before being able to store anything in Google Cloud Storage, we need to create a bucket. 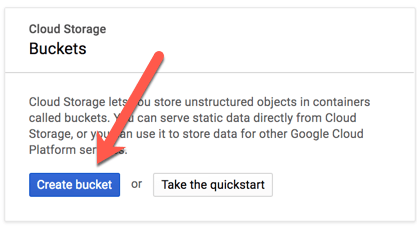 On your Google Cloud Console, navigate to Google Cloud Storage. If you have not yet created a bucket in your current project, a wizard will automatically open. On the next screen you will be asked to give a few configuration details to your bucket. It is up to you how you select those, I would recommend to go cheap and select the same location as for IoT Core. 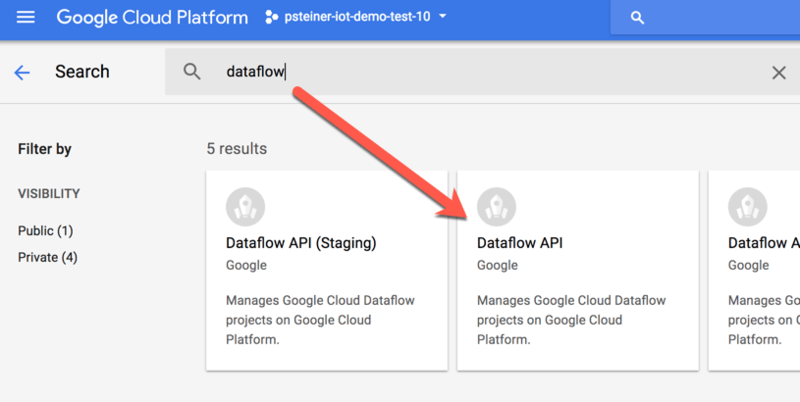 Finally, we need to create a Pipeline, which will read the sensordata from our MQTT Topic in Google Cloud PubSub and will store the message content as an Object in Google Cloud Storage. In the Search-Field enter “dataflow” and click on the shown result. The first line of core opens our PubSub MQTT Topics as an input source of our PIpeline. In the second window we apply Windowing, which segments the incoming data-stream. This is needed as we are reading from a stream oriented input-source and are writing to a batch oriented output-source. The last line writes the received, and currently untouched, data Cloud Storage as an Object, while combining 1-minute of collected data into one Object. There are at least two ways to check if your data is received and processed. At this stage we will only go via Google Cloud Storage and verify if Objects are stored in our created bucket. Start by opening the Cloud Storage Console and select the Bucket you created earlier. and one of the stored Objects to see it’s content.